You’re staring at your computer screen with weary eyes. Dinner has come and gone, but that oh-so-familiar beast we call Hunger has reeled its damn head again. But you can’t snack after eight o’clock, right? That’s weight loss rule number one. Or is it? I’m about to share with you some helpful truths for a situation of this kind. There’s an ironic flipside to my mostly honorable label of ‘Liz Swann Miller – Weight Loss Expert’. I must strictly resign myself to the continuous expectation the general public attributes to the title – that I have it together. Liz would never gain excessive amounts of weight. Liz would never give in to that looming golden M on the highway. Liz doesn’t snack late at night. How does Liz do it? Let me tell you a secret. Liz struggles. Liz feels the exact temptations you feel, and resists the exact pulls you resist. As this ‘Weight Loss Expert’, I often need to remind myself not only to pursue a healthy lifestyle in order to fulfill the expectation of my title and my career, but for my optimal wellbeing. The temptation, for me, is at its worst late at night, during that time when I’ve supposedly declared eating over, yet I’m fighting hunger, bleary-eyed, answering hundreds of emails from clients seeking advice for topics such as this. how to appease the beast. There are those who claim the most effective diets are those which have you eating only two meals a day, and drinking water for the rest. I strongly encourage you to ignore these methods, as they are not sustainable. The secret is snacking. And I don’t mean digging around in a bag of chips and licking the salt off your fingers (we’ve all been there), I mean pouring yourself a bowl of organic nuts. Or blueberries. Or frozen peas. Be inventive, but clever about it. Choose the right food in moderation. But let’s talk about the late-night secret. It’s simple. And easy. Are you ready for it? Okay. It’s a cup of tea. Don’t underestimate those three words. Not to drink immediately before bed, but rather in the gap between dinner and sleep. My go-to is the always delicious, always sufficient Red Tea. It satisfies the hunger itch, but leaves me feeling clean, calm and revitalized, primarily due to its detoxifying properties. And it’s caffeine free – so don’t fear, you won’t be bouncing from the walls. 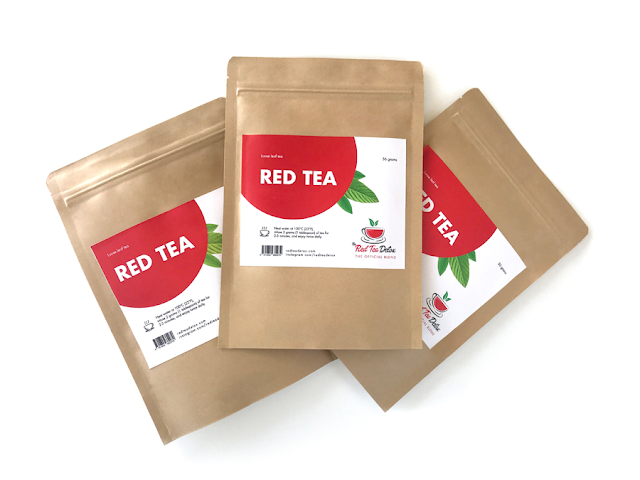 After my extensive studies around fat-burning solutions, the myths and the answers, I created this tea with ingredients selected carefully for late night cravings and overall weight loss (you can find the recipe in the link below). The benefits are endless, but the solution is simple. Set yourself a challenge. I’ll be right there with you. Ditch the chips, the ice cream, and the guilty pleasure cheese blocks. Get the kettle bubbling and pour yourself a steaming mug of Red Tea.